Swirling guitars and proto-ambient electronica sounds from many light years away! The Astro-Sound of Magnificence, from Beyond the Year 2000...a unique capsule of a funky, psychedelic rhythm section jamming, with snarling, stabbing and swooshing cranked-up-to-infinity electric guitar voyages piloted by Wrecking Crew veteran Jerry Cole, polished and primed for takeoff with a string section playing eerie, beckoning melodies in unison. These are the sounds of epiphanies concerning the future, space and sounds on the horizon, circa 1969. 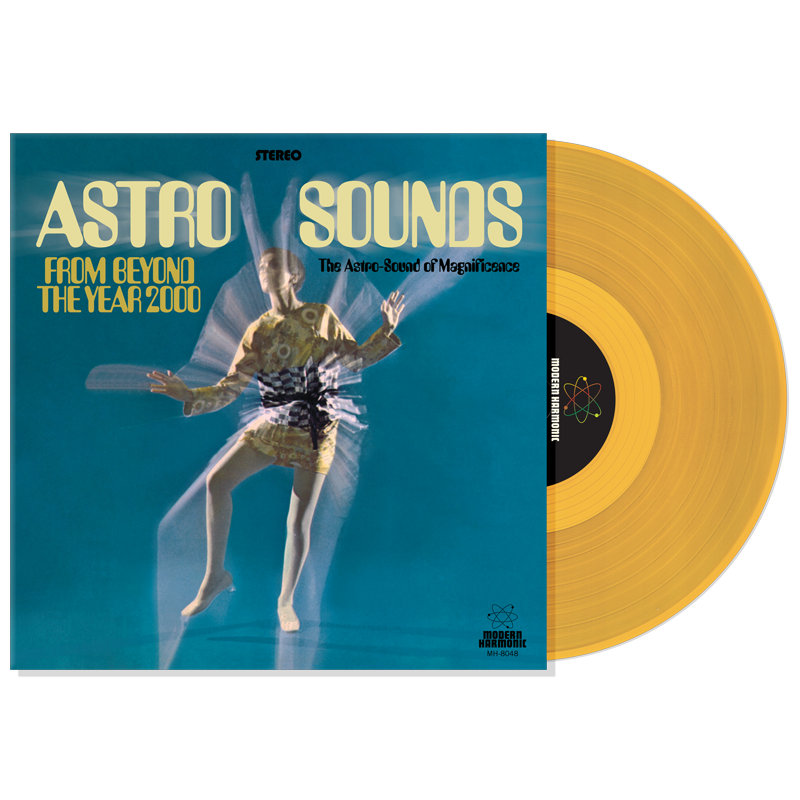 The tracks for this album were recorded by Cole and other players during sessions for a separate longplayer and were deemed to be outtakes; the details as to how they became Astro Sounds From Beyond the Year 2000 are dark and distant, but the 10 tracks here were first issued sans strings in 1967 as The Animated Egg, with alternate song titles. Two years later the recordings were overdubbed with the swirling, piercing phase-shifted strings mix you hear here, creating a spectacular fusion of psych-rock, R&B, easy listening and fuzz guitar, with hints of the coming worlds of ambient and electronica. These truly are the far out sounds of tomorrow?s unchartered trip, as the original album jacket proclaims?come aboard, launch and listen.